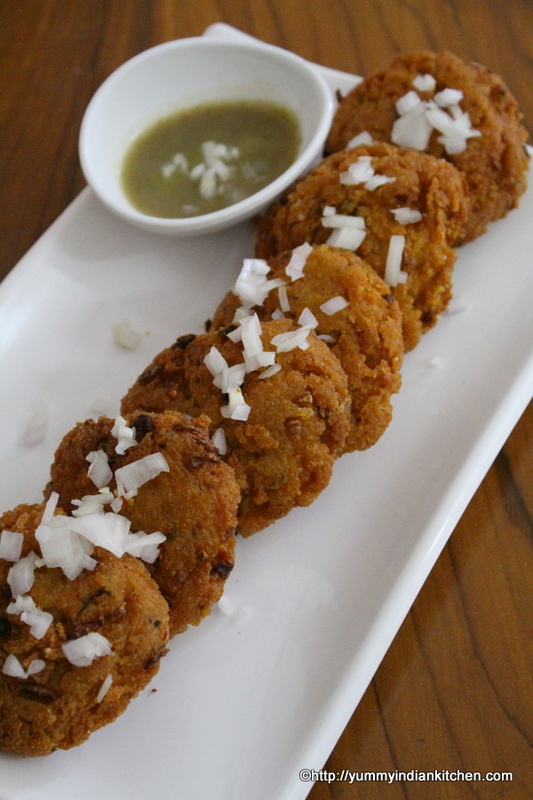 Rice Pakora is usually made using left over rice and it is a wonderful snack item made with besan/chick pea flour and rice. 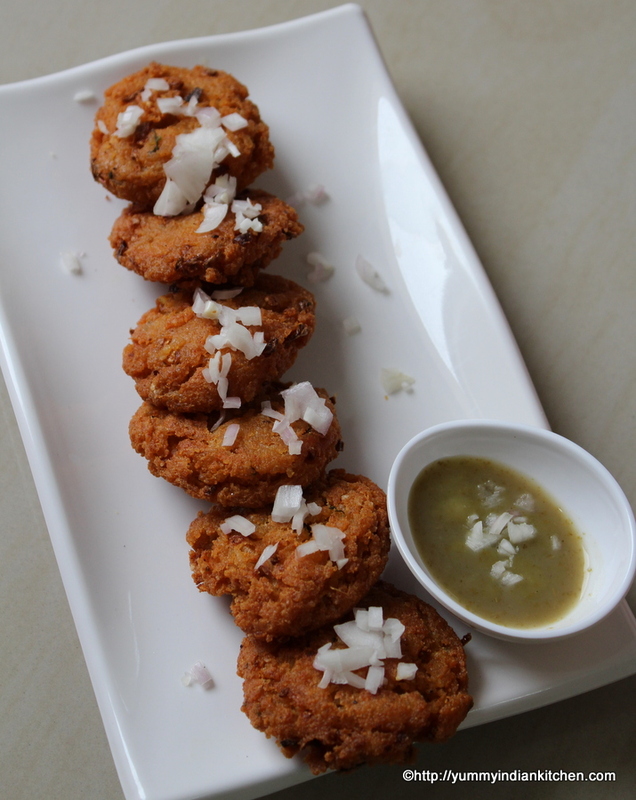 The rice that we use to make this snack could be a left over rice or we can freshly cook the rice to make these rice vadas. 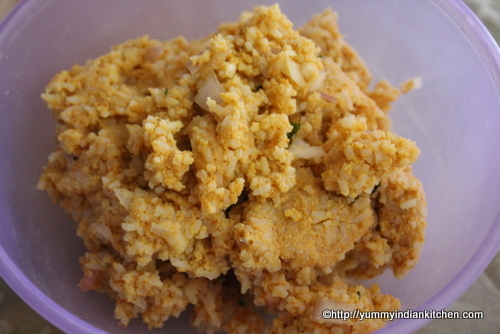 They are easy, simple in making and also helps in making use of the rice which has been unused. 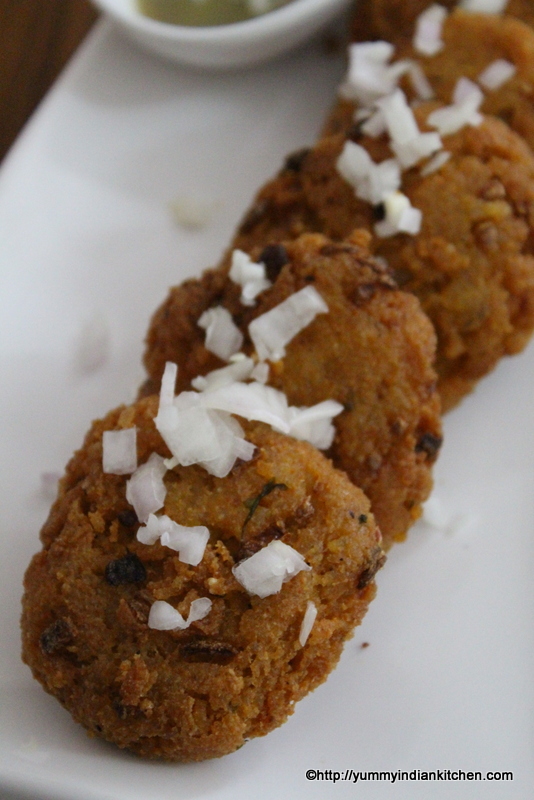 The rice pakoras which I made here are like small biscuit shaped tikkis but we can also make small dumplings of the rice vada batter and deep fry them. 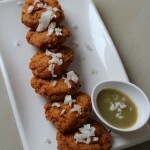 The batter to the pakodas can be made in various ways and here I have used some besan and chawal along with some spices and herbs to bring out the flavors from the pakodas…. Firstly, in a bowl, add cooked rice/leftover rice, chick pea flour/besan. Into it, salt, red chilli powder, turmeric powder, coriander seeds powder, baking soda. Also add onions, coriander leaves, 1 tsp oil, carom seeds. Add about 4 tbsp water, keep pressing and mix it to attain the consistency of a thick dough. Take small portions of the dough, press them, flatten them with hands and drop them in oil. Fry the rice pakoda on low to medium flame until they are cooked well on all sides. Serve hot with tea or ketchup!!! 1.Into the dough one can even add some boiled and mashed potato, boiled peas etc and knead the dough. 2.We can also add additional ingredients like grated carrots, chopped green chillies etc to make it more innovative.